This is the second item from Chubby Monster Games that I've taken a look at. Shane's Delve was an excellent small map/short encounter area. The Village of Cowfold is a rather small village that a GM can plop down along a trail for a bit of flavor. This free 31 page PDF features a small map of this 10-building village and details Cowfold's inhabitants. It is intended to be an introductory offering for the upcoming Waypoints line. 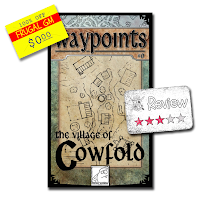 One of the problems is that Waypoints 0: The Village of Cowfold has been out for over a year now, so realistically there is nothing to introduce. 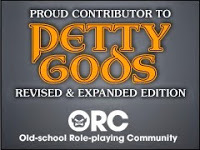 This game aid is system-less and really doesn't need much tweaking for a GM to use it at their home table. Of course, "much tweaking" can be a bit relative. I personally found the NPC descriptions a good read, but quite unsuitable for my in-game use. In general they were just too wordy and I felt like I needed a chart for relationships and a little cheat-sheet for NPC descriptions. The bookmarks for the PDF were hit-and-miss. The village map was decent enough & had hotlinks to the appropriate pages, but the list of actual bookmarks were missing two village buildings. This isn't a deal-breaker by any means, but the PDF is secured so I cannot either fix this or even add my own bookmarks. adventure hooks was also a nice touch. 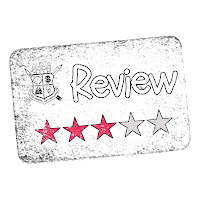 Overall, a decent GM aid that with a little work, less than many other offerings of this type, can yield an interesting little locale for you players to visit. I think with just a few minor tweaks this could be an exceptional little village setting.